I will start this post right away by saying the Skinkansen is absolutely awesome, and quite possibly the best transport system in the world. Fast, efficient, reliable and comfortable to boot. During this current adventure we've taken the Shinkansen four times. Tokyo to Hiroshima via Osaka, back from Hiroshima to Kobe and then homebound to Tokyo. 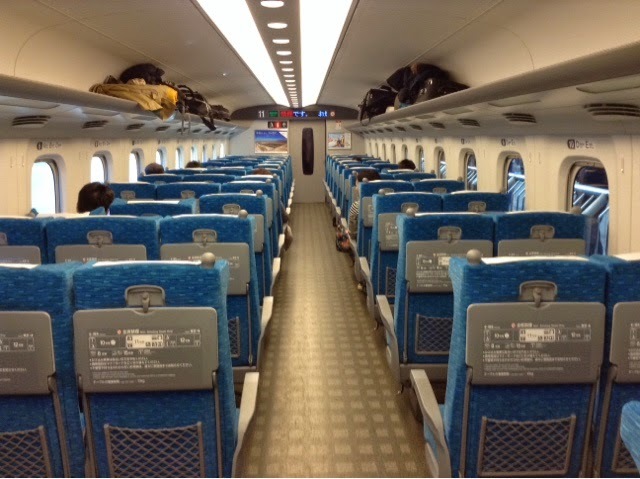 It's not surprising that each time we took it, the trains were punctual; to the minute, the second even. As it has to be said are the vast majority of trains I've taken in my 16+ years association with this country. You could probably count on one hand the number of times I've been delayed. Unfortunately that's not something I can say about my own country's transport network. The sheer joy of being taken across this vast mountainous land at 180 mph, with cities and fields flying by, knowing that you are going to be sitting in comfort just adds to the experience, the picture below hopefully illustrates this? And you don't have to be a train spotter to appreciate the trains themselves, they are just marvels of engineering. So my advice would be that if you have the time and the chance to experience Japan, you should incorporate at least one Shinkansen journey, if not more. And the best way to do that? 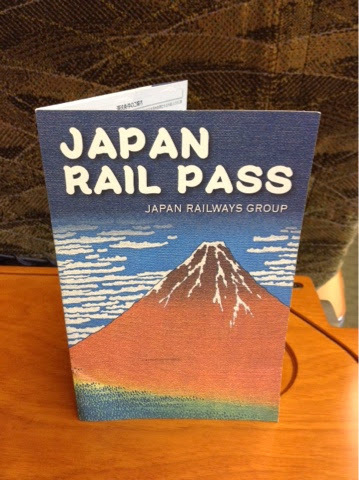 Well how about using the rail pass illustrated below? 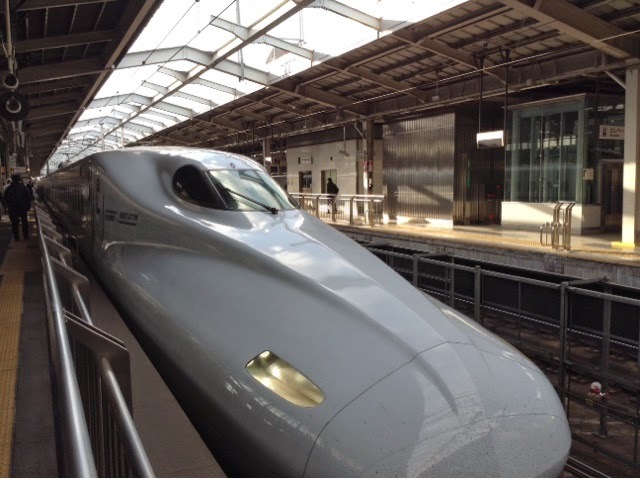 To take full advantage of this wonderful transport network and the most convenient way to get around Japan is to purchase a rail pass. Our was for 7 days but you can get longer. It's valid on the Skinkansen and any other JR (Japan Rail) service, including the Narita Express. The amount saved when weighed against a single journey was almost enough to recoup our costs and with a number of localised journeys it was certainly a great purchase. A word of warning, you will need to get them validated and this can be done at Narita airport. Find the JR rail office at the railway station, below the terminal (ours was in terminal 1). So if you are visiting Japan and want to explore beyond the big city of Tokyo then this little card is a must. And it really will be worth the outlay. Happy travelling and please let me know if you feel the same about the pride of Japan. Have a great new year and thanks for reading. Happy travels in 2015 everyone.